In this restaurant, we may choose our own sea creatures to get on cooked by our choice of sauce or flavors. We would be accompany by a waiter or waitress to pick our foods. They are offering, many variant of sea creatures alive in aquarium and we could see by by ourself which one are we prefer. Then, they would measuring how weight is our fish. 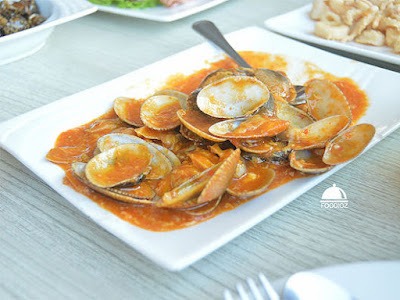 Start by a clams, we choose it cooked with Padang sauce which is bit spicy and has strong smell of sauce. 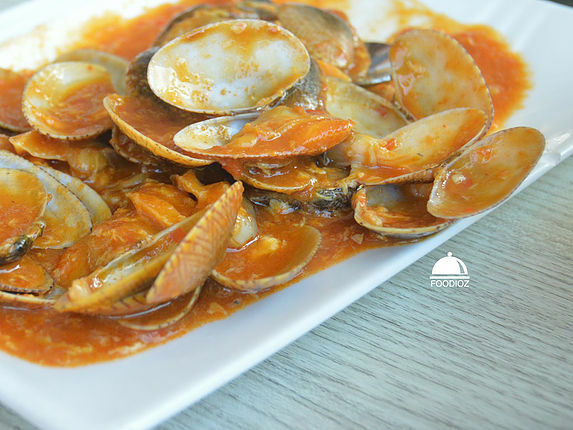 It is much perfect for the clams, very tasty and clams totally fresh, perfect on each clams blended with the sauce. 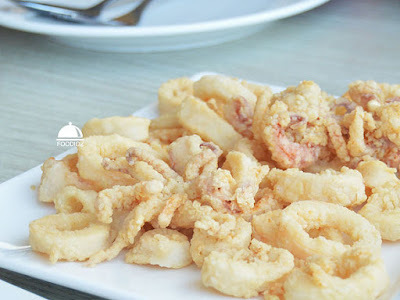 Next dish is fried salted calamari. 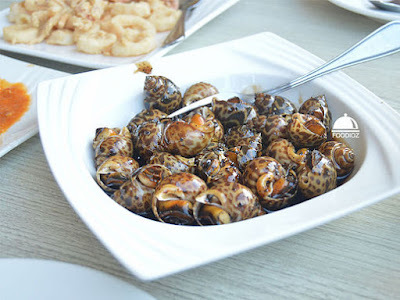 This is one of famous dish which people would order. Super crunchy, good seasoning, nice color and surely it's fresh! Then i am having beautiful cooked escargots. 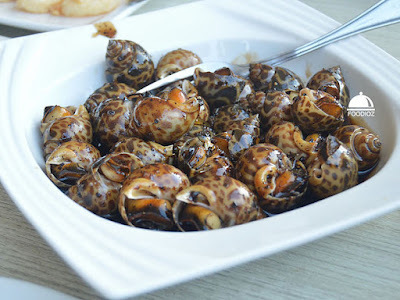 It is absolutely beautiful colour, shell of it have stunning pattern of rough polkadot. it is blended well in black pepper sauce. 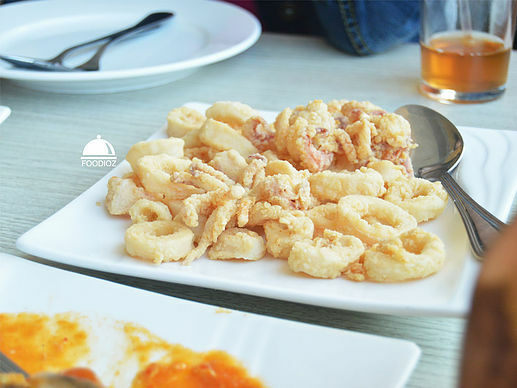 taste quiet spicy and it does perfect texture of meats inside the shells. More seafood is Grilled Prawn with Honey sauce. 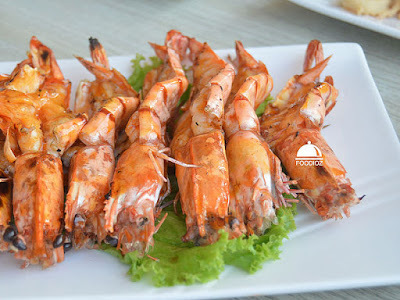 This is one my favorite among the others, it does have beautiful color, Prawn absolutely looks fresh. smells great and honey is sweet indeed. It does have perfect texture of meat, firmed and of course tasty. I assure you should order this one. The rest we have a fish grilled with soy sauce and sauteed morning glory with onion and shrimp paste. I did not take a picture of it, so sorry :-) i thought the best part of seafood is a prawn actually :-D. All over, this place is recommended if you'd like to have seafoods dishes, they absolutely offering variative of seafoods, sauce and chillis. Place is good, but i think Ancol branh has better ambience. Service just fine, i just little disappointed when we were order birthday surprise for birthday girl, but it didn't happen since cake was too late came out and we have to take twice, three time to order this. 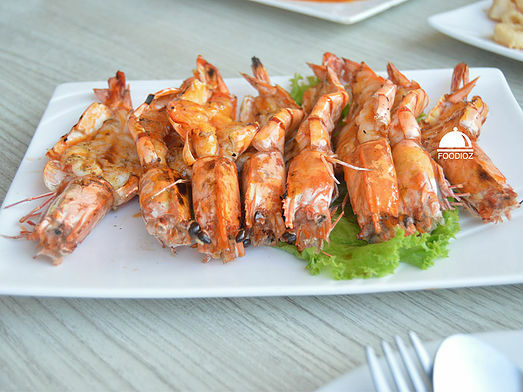 For price, well we know seafoods is not saving cost alot, but pleasure of it absolutely worthed with what you pay.